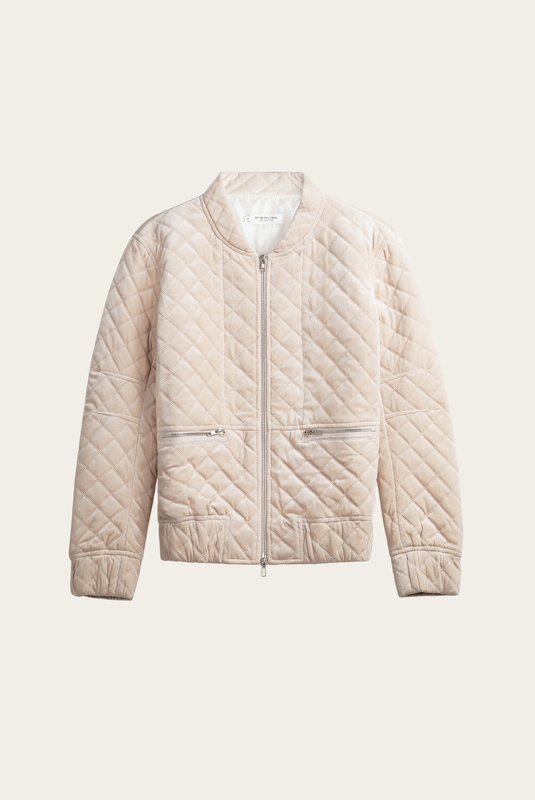 This bomber style is made from plush velvet in a relaxed silhouette and has wide ribbed trims. 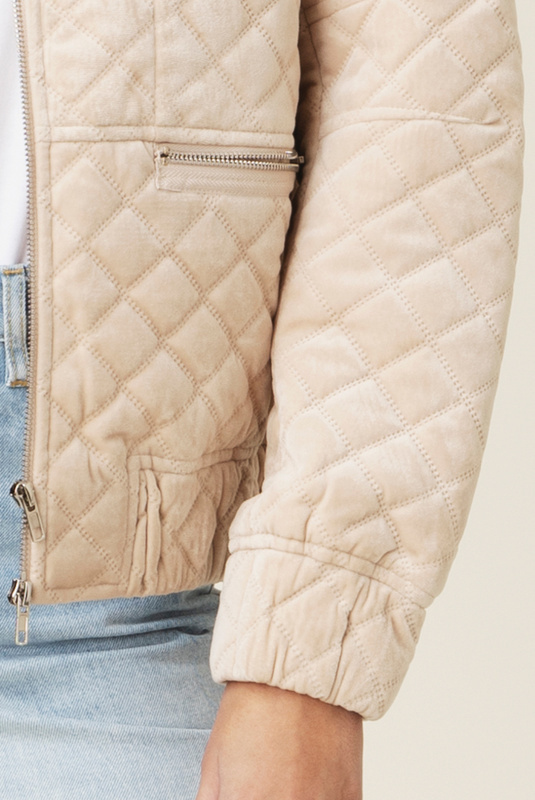 This quilted bomber is made to be a classic! 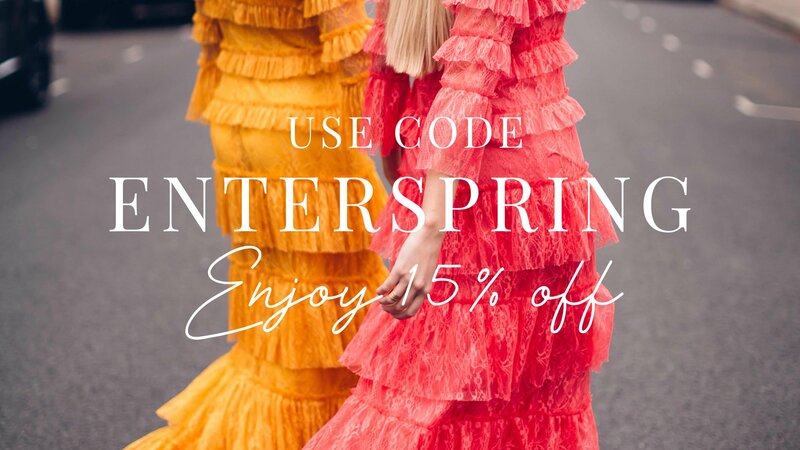 Wear it with a pair of washed jeans and a bright, comfy blouse for a complete look.